I flash back to my initial introduction to what I learned to think of as “Cavewood” Construction, and empathize. The mental nickname Cavewood came from the term “cave effect… Why should prospective Cordwood builders be concerned about esthetic considerations? Isn’t it enough that the structure is solid, warm, dry and inexpensive to build and maintain? For me, no! A home is more than a house. 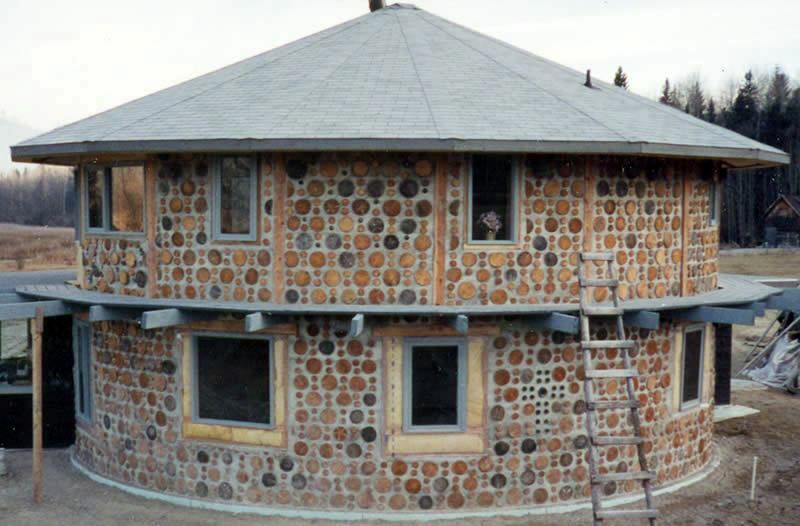 While monetary costs are often a major consideration when choosing Cordwood Construction, the psychological, and physiological costs are equally important; and, with some understanding and planning, do not need to be expensive to incorporate. Add proper material selection to the mix and one has a healthy, environmentally friendly home. “Check the strength of your relationship before you begin to build a Cordwood House” has been heard by many prospective builders. As knowledge of improved building techniques expand, many of the issues that could lead to conflict between building partners are being eliminated. 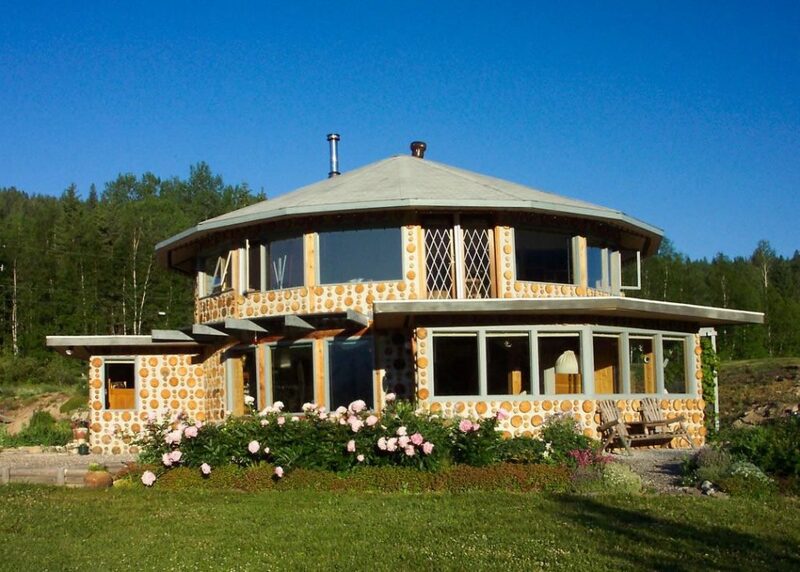 A Cordwood Home can be a source of peace and harmony, especially if we pay attention to the aesthetics (the details that make us feel good). Also, raking the top of the window is not as important if the top of the window is close to the ceiling of the room; the ceiling is light colored, and the ceiling is relatively high. Ceiling height matters! 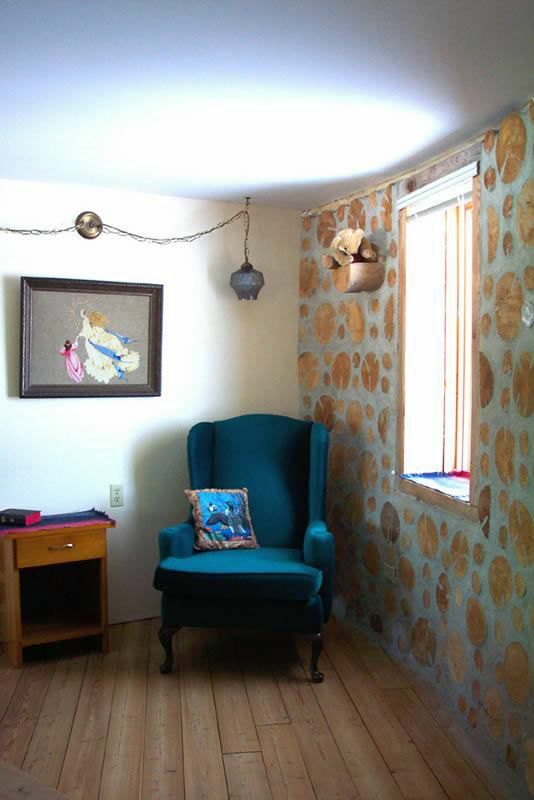 Do NOT let cordwood construction exhaustion compromise the height of your living space walls. 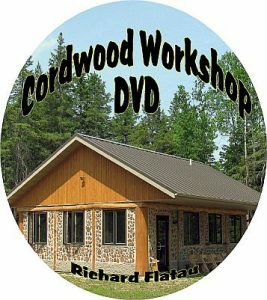 The few extra hours constructing the extra course of cordwood will pay huge psychological benefits for years to come. 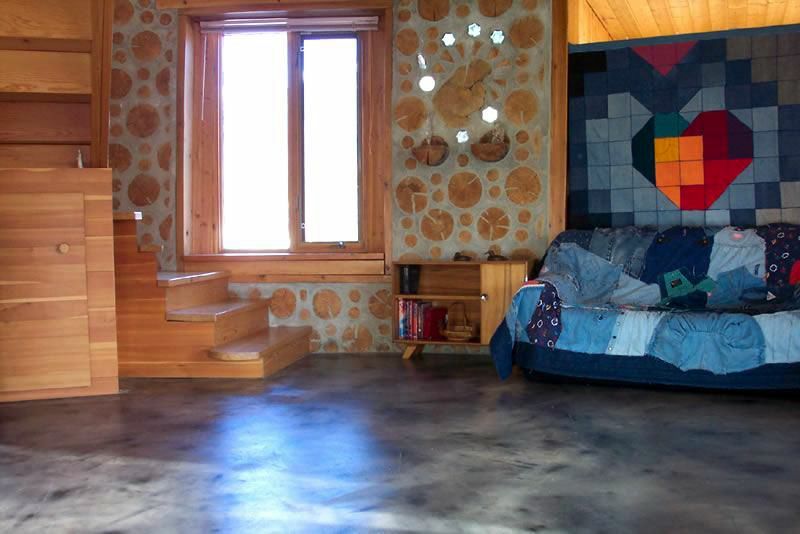 Eight feet is minimum for a “light and airy” cordwood home. 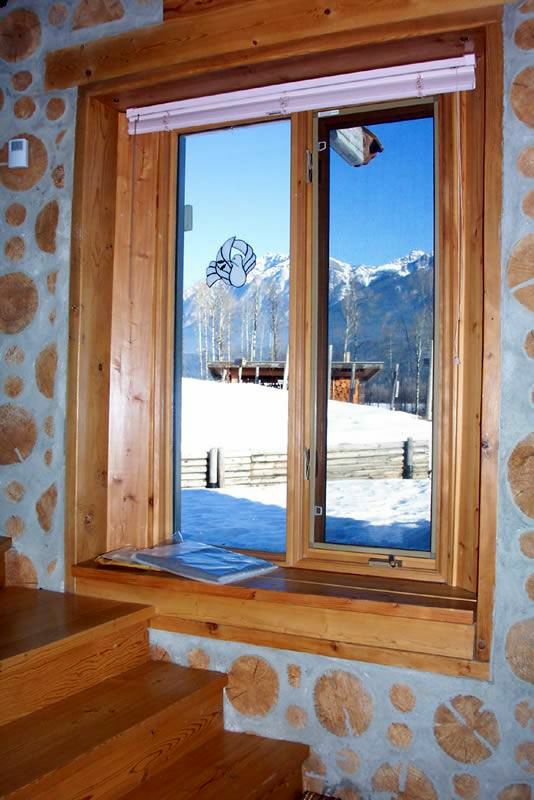 There are other natural lighting design considerations for a light and airy cordwood home. The effect of roof overhangs and calculating the angles of summer and winter sunshine are well documented in construction literature. It is important to incorporate these considerations into your building plan. The decision on how many windows of what size and where in exterior walls is a balancing act. Heat loss, wind direction, cost, and privacy are all factors that need to be weighted. When calculating the amount of window surface per room remember that the strength of natural light drops quickly as it moves through a room. Therefore the size and shape of a room that can be comfortably lit by only one light source is limited. One light source creates shadowy corners and high contrast. In small rooms, such as bathrooms, correct finishing choices as well as raking the single window will take care of any problems. For larger rooms the best solution is cross lighting…Skylights and sky tubes can let light into the center of a large interior area. Varying your ceiling heights can have a significant impact on your home. Again the kitchen, dining area, living area, and any daytime recreation area are better served by having higher ceilings if you want a bright and airy house. The area above bathrooms, closets, utility areas and pantries (your private spaces) can be good storage areas, especially in conjunction with split-roof or ceiling lines. 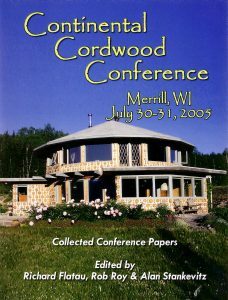 This article is condensed with permission from Valerie & Jim’s article in the Cordwood Conference Papers 2005. 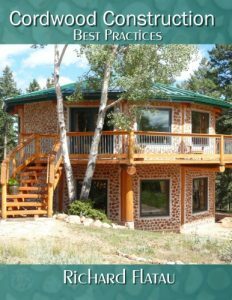 It is meant to help those planning to build with cordwood to understand the “light enhancing effects” that can be used to brighten up the “light-diminishing-effects” of cordwood walls. Valerie sent information on DAYLIGHTING and how to make it work in your home. Here is the link. 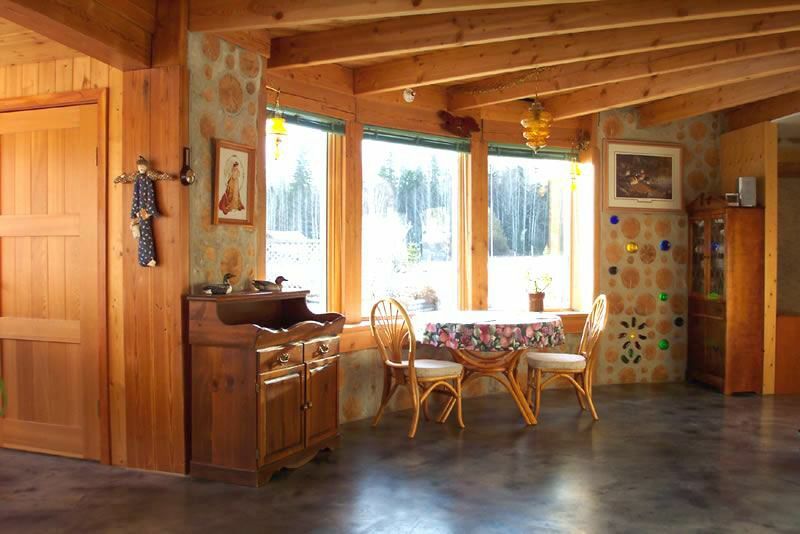 Valerie also provided the following commentary and important links to help you design your cordwood home with daylighting in mind. “Daylighting. Does it matter? You bet! Even Fine Homebuilding Magazine agrees and I will link their articles on Daylighting another day. I could not write and organize this information any better! Everyone should print/read/hi-lite it then have it laminated before taping it to their work desk for easy referral. Um. Wait a minute. Am I too 1990’s? The point is Do NOT bury this info in your computer files! Read the links!